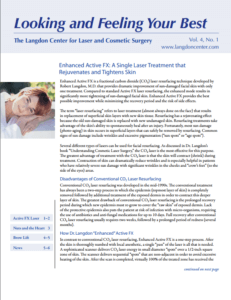 Introducing the latest way to look younger without surgery at The Langdon Center in New Haven County! New ThermiSmooth can dramatically increase your skin’s own collagen production, resulting in natural looking tightening and smoothing of the skin. So, how does this amazing skin rejuvenation treatment work? ThermiSmooth utilizes safe, effective ThermiRF™ (radiofrequency) technology, which precisely heats the targeted skin to 42°C – 45°C, resulting in collagen remodeling but without patient discomfort or trauma to the tissue. In fact, this procedure is comfortable: many patients compare it to a heated massage! During this treatment, a cooling gel is applied to the skin and then a pen-like device is gently glided over the tissue in a circular motion, providing this precise heating as you lay back and relax. It’s an extremely popular, non-surgical treatment for anti-aging concerns regarding skin texture problems due to aging, such as sagging facial skin and wrinkles. It can dramatically reduce the appearance of excess skin on the upper and lower eyelids, helping the eye area to look refreshed and rejuvenated. For certain candidates, it may even delay an eyelift (blepharoplasty) in Fairfield County, New Haven County, and New London County. Board-certified Connecticut dermatologist and cosmetic surgeon, Dr. Robert Langdon, has also had great success with ThermiSmooth for improving deep creases above and below the lips, often known as lip lines or smoker’s lines, as well as irregular skin texture on the abdomen following pregnancy. For optimal results, The Langdon Center recommends a series of ThermiSmooth treatments at regular intervals to improve signs of aging skin. If you want to undergo some minor tweaks but aren’t yet ready for a facelift or brow lift in Connecticut, learn more about ThermiSmooth at The Langdon Center in Guilford, CT. 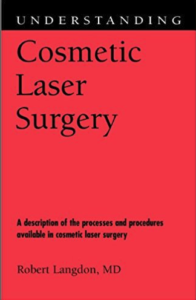 Call (203) 745-0340 or email cdyson@www.langdoncenter.com to schedule your consultation.